FLUKE launches the NEW ii900 Sonic Industrial Imager. 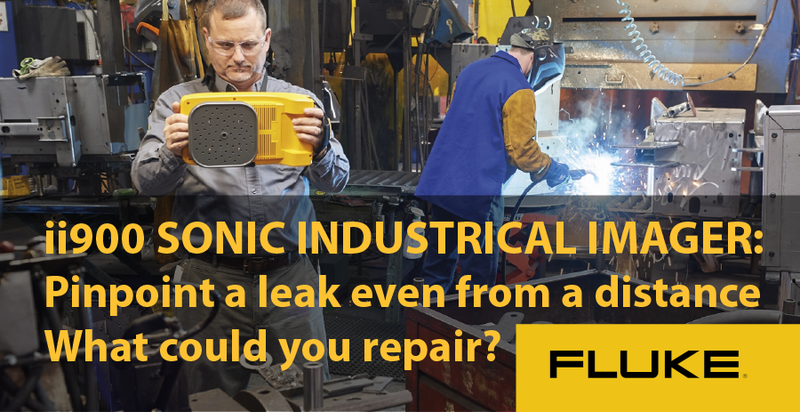 What could you repair if you could easily pinpoint a leak, even from a distance and save money! Using patented SoundSight technology and enhanced scans clearly see leaks you can't even hear! It works in noisy places without having to shut down the line. Scan large areas quickly so you can find leaks much faster and improve your bottom line. Locating leaks in compressed air, gas and vacuum systems can be time-consuming and tedious. 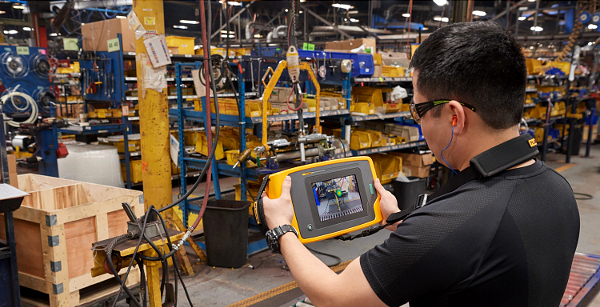 With the Fluke ii900 Sonic Industrial Imager your maintenance team can quickly pinpoint the location of compressed air, gas and vacuum leaks in a matter of minutes. With SoundSight™ technology you can see the sound a leak produces, even from a distance, even in noisy industrial environments. The 7” LCD touchscreen overlays a SoundMap™ on a visual image for quick leak location identification. The straightforward, intuitive interface allows technicians to isolate the sound frequency of the leak to filter out loud background noise. In a matter of hours, the team can inspect the entire plant – during peak operations. Even from a distance you can quickly and easily identify the air leak repairs needed to ensure efficient operations and reduce utility bills. Images can be saved and exported for reporting purposes. Never leave air leaks unattended again!